Welcome to the “Unzoo” of the future, a new style of wildlife experience where you’ll discover the unique animals and plants of Tasmania! Come face to face with our famous Tasmanian devils, join our interesting devil presentations every hour and learn how we are saving the last isolated, natural population of endangered devils left in the world. You can hand feed friendly forester kangaroos, meet endemic quolls and noisy wattlebirds and laugh at cheeky little parrots in our Birds of the Bush encounter. For us, it is an experiment to change our 40 year old family animal park into a ground-breaking “zoo without cages”. After 10 years of effort, it is now working well with wild wallabies, echidnas, possums, native fish and nearly 100 bird species living around our Unzoo bush garden. To best discover these wonderful creatures join one of our expert guides on a nature walk through the bush. 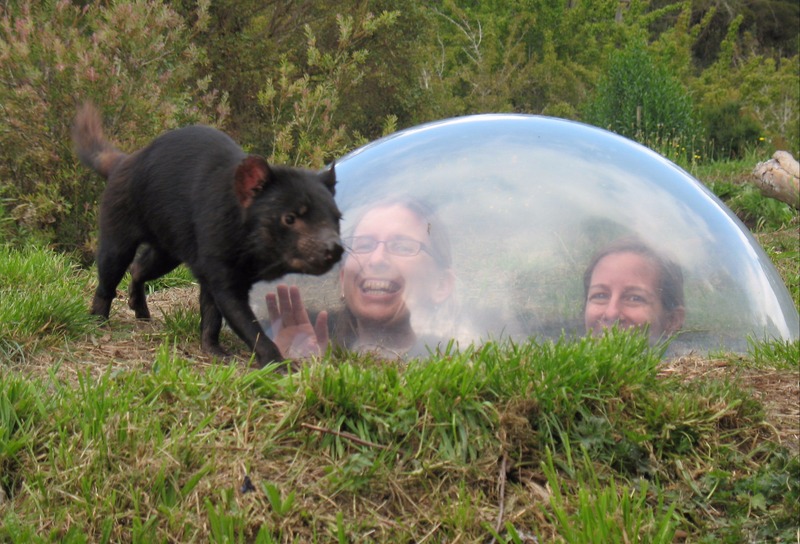 Above all, though, our real focus is to help preserve the Tasmanian devil. Your entrance fees fund this effort. We are open every day (except 25 December) at Taranna, about one-hour from Hobart on the way to Port Arthur on the Tasman Peninsula.